Academies - one of the coalition's flagship policies in 2010 - have not lived up to any of Michael Gove's big promises, a new report has found. Free schools are not helping the children who need them most, a new report has found. The flagship policy of former education secretary Michael Gove has not delivered on any of its promises, according to the National Education Union (NEU), which labelled academies an “expensive experiment”. In 2010, free schools were announced by the Tories as a way to drive up standards in areas where schools were performing badly. The scheme allowed parents, teachers, community or religious groups, charities, trusts and businesses to establish ‘innovative’ new academies that were independent of the local authority but funded by central government. But according to the first independent report into the scheme – released today by the Education Policy Institute – very few free schools have actually been opened in the last seven years and those which have are a disappointment. Despite all the fuss surrounding the scheme, free schools currently make up only 2% of UK state schools and they are not accessible to two-thirds of the population, who do not live in the catchment area. They are badly distributed around the country and have cost the government too much money, the NEU said. “The rationale for free schools is flawed. Free schools have created surplus school places in areas where they aren’t needed, which isn’t a good use of tax payers’ money, particularly in the middle of a school funding crisis. Students at free schools are also demographically different to average state school pupils, the report found: Only 24 per cent of pupils attending free schools in the most disadvantaged areas are on free meals, compared to 32 per cent of all state school students. “Free schools in disadvantaged areas fail to take their fair share of poor pupils. And, when first established, they are not popular with parents, with first preferences well behind other types of school. According to the report, many academies have opened in areas where the schools were already doing well, defeating their purpose. They are the most unpopular sort of school among parents and many pupils to school further away to avoid them. Maybe it’s time to scrap the experiment – and the distraction – and focus on investing in our state schools instead. You miss the point. These schools ARE delivering what they were intended to deliver – i.e. a second rate education system for the hoi polloi. The comprehensive system has enabled the children of the hoi polloi to achieve high quality qualifications in increasing numbers so that they are actually encroaching on the number of places for which a private education entitles the purchasers. I am not being ironic here. Although they do tend to have better exam results than you would expect, given their intake. And some of the best performing schools in the country, such as Dixons Trinity in Bradford, Tauheedul Islam Boys’ High School in Blackburn, and Reach Academy in London, are free schools. But who cares about that? They should all be closed! I gave two years of my life to starting a free school in our town when Mr Gove became Education Secretary. |Silly me! I had hoped to escape the bureaucracy, to restore classroom professionalism and to have a small space where people could be known by name, understood and, yes, given Christian love. Instead we got more and more bureaucracy until – guess what? – the bureaucracy triumphed again. Yesterday I was told about the local Comp where there was a battle betwen Lithuanian and British schoolchildren. Also a fight in a classroom where (I was talking to his Mum) a boy threw a table across the room in a lesson over a fight over a pencil. And this in the middle of a lesson. Not closed, ad, but incorporated into the a reformed LEA structure where rational planning of school development and education needs can be undertaken in the context of local and community needs. 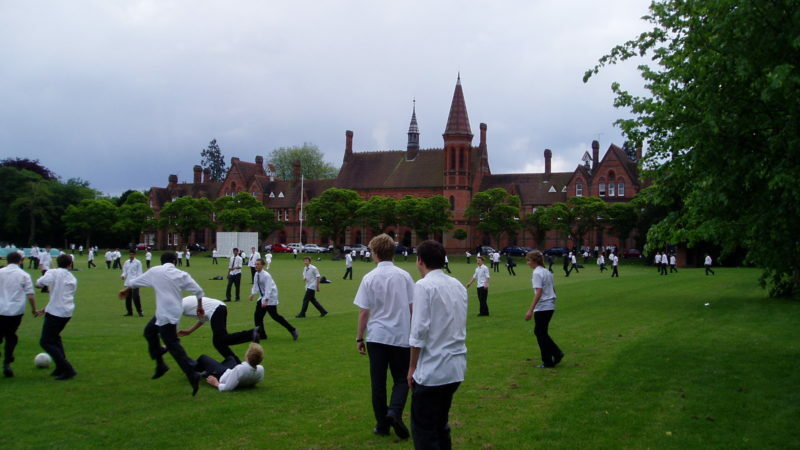 Free schools will end up in some academy trust chain which may or may not be based in the locality, which may or may not have admissions policy that does not militate against equal opportunities. It may be better to not refer to “Academy Trust chains”, but to strip of the gloss and call them what they are, which is “private companies” who make their profit from educating our children? Robert, you are right. The process of creating an academy involves conveyancing property and equipment to a private organisation. Furthermore, that organisation has virtually no local accountability and any supervision flows from the faceless bureaucrats grandly and inappropriately titled “Regional School Commissioners” who do not have the resources to provide effective external governance. Robert and Patrick, you have it right. This is another variation on PFI/PPP, in which public funding pays exorbitant fees to pay for a service which it ran itself, but was not-for-profit. Have a look at a recent video made about the sharp practices involved in the awarding of a PFI contract for four schools in North Ayrshire in the first decade of this century, when new Labour was telling us it was ‘The only Game in Town’. Search under that title. Bear in mind as you watch, that Scotland has different legal and educational systems from those in England and Wales, but fraud is fraud under any jurisdiction.